These scents for the home were inspired by ancient world travelers. SCENTSATIONAL: Make your room smell like a European palace with a collection of scents for the home inspired by a globetrotter’s journal. 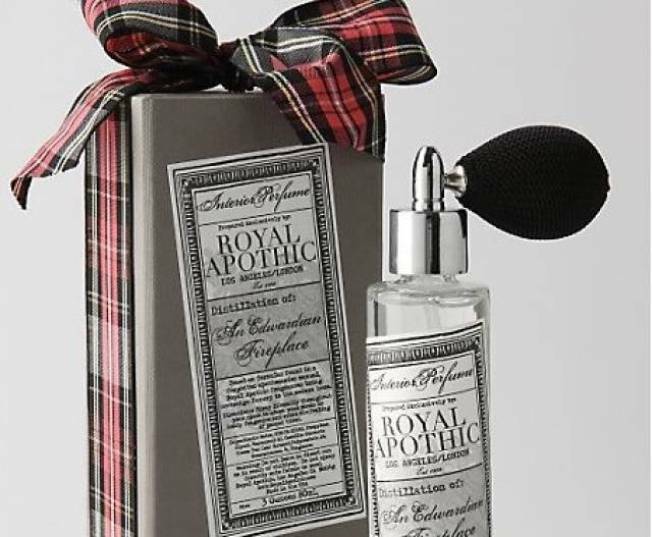 The Distillation of a Venetian Grove scent from Royal Apothic has notes of sweet currant and orange blossom, finished with juicy citrus fruit. $28. Available at Anthropologie. HUMBLE HOSTESS: Call us crazy, but we love to throw a dinner party while simultaneously using that as an excuse to buy a few home décor items. Especially when they are as striking as this Beatriz Ball Garden Canella Bowl. Get it at Crosell & Co. And then get back home and start cooking. MAKE A STATEMENT: Designer Sonia Barrett, known for her exquisite statement jewelry using crystals, semi-precious stones and more, will be showcasing her line, Damen + Division, during a Fall Trunk Show at Bloomingales. October 16, 2009, 3 - 7Pm call 312.440.4488 for more information.